Does Having a Cavity Count as a Fault? This can't be a cavity, it must just be hypersensitive, yes it's just hypersensitive. There's no way Fuchika would get a cavity... A comedy where Fuchika denies the fact that she has a cavity. One-off survival stories #3. A survival life with the harbor princess of Sli Lanka! 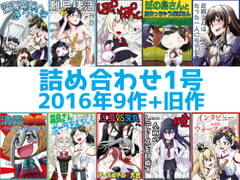 An assortment of 10 K*nColle doujinshi by NekoNiwa. Presented in PDF format. Kirishima & Aoba made a hit regarding their video of survival life. In pursuit of second hit they try to take another video in AL area, but there the Northern Princess appears!! 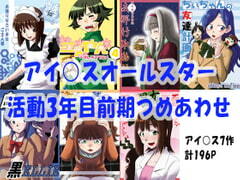 An assortment of 10 K*nColle doujinshi by NekoNiwa. Kirishima and Ritoseiki survive on a deserted island. 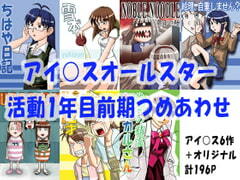 Idolm*ster anthology by circle NekoNiwa. 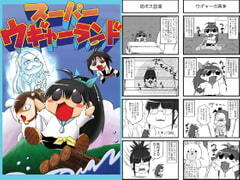 Yonkoma anthology by circle NekoNiwa. 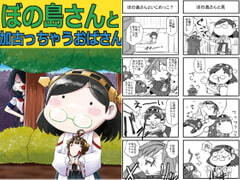 Yonkoma anthology by circle NekoNiwa. 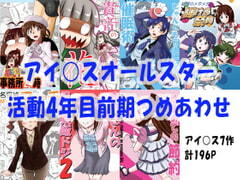 8 Idolm*ster titles. 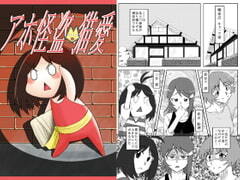 Yonkoma anthology by circle NekoNiwa. Includes 7 titles. One fine morning, she raises her hands up in a big motion to get pumped for the day, and ends up hitting Zuiun. While running away from her, she ends up getting involved in more and more trouble! Gambia is terrified of the terrible Kurita fleet. The Japan ships want to be friends with Gambia but it doesn't go as planned. Her friends help support her. 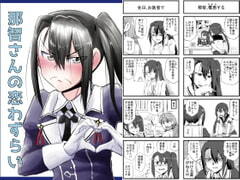 When Kirishima-san says the commander chose her just because of her good cost performance, her big sisters advise her to express her love more. Amagiri and Sagiri decided to compete on overcoming each one's weak spot. 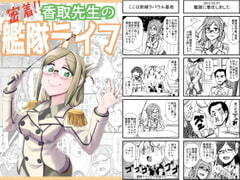 Showing Katori-sensei's life since the day she was assigned to the naval office. Ark Royal's first day in the naval office was not that successful in terms of making friends. 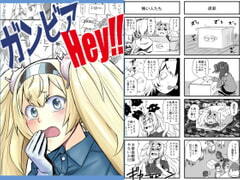 So Warspite asks Kirisama-san for help. 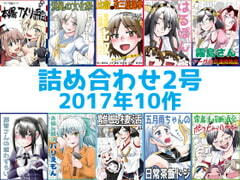 A school-ish comedy story featuring Hamakaze, members of the naval office and others. 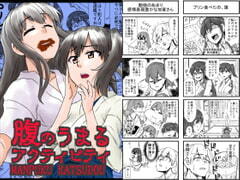 Yubari has a problem. A boring job, and issues with love. As she listens to people's problems to pass the time, a Bari-emon statue is forged. Shouldn't you be worrying about other things? Bari-emon! 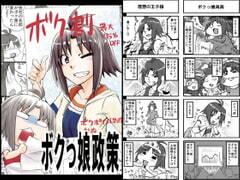 An omnibus format depicting the days of Haruna trying to show off her lady-like attributes to Kirishima. Recently, the Naval Base's public morals are being corrupted. But ordering an alcohol ban is going too far. Definitely. Let's hold an Alcohol Anonymous group and see who's bad... Wait, me too?? I'm suffering from a violent throbbing feeling. When I went to a doctor he said there's no medicine for it. What type of disease is lovesickness? Samidare-chan does everything sincerely, but she is slightly careless. 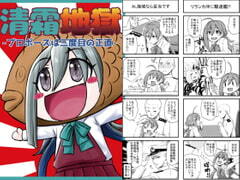 An omnibus style four panel comic that depicts a dojikko (clumsy girl). Cultural exchange with the bright and bubbly American fleet girls. 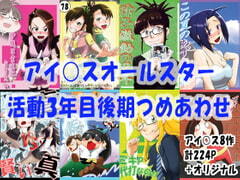 An omnibus full of ditzy girls + a short manga about the books title. 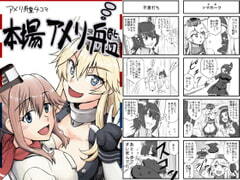 Warspite can hardly make friends under tense atmosphere. 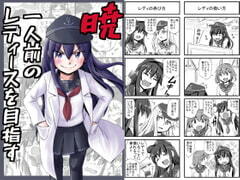 Getting Kirishima's assistance, she implements an operation to appeal herself to people in the navy base. First thing to do is interview! 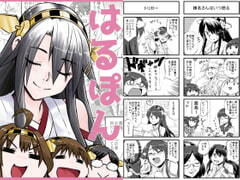 No matter how you look at it, Akatsuki is not yet a 'Lady'. Hibiki gives her a prod in the right direction and she ends up wearing a lab coat and riding a horse... Huh? Wait a sec? 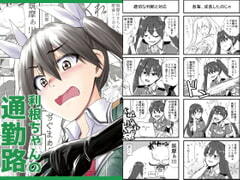 Ashigara-san wants to be liked by someone!? Blasphemy! Defamation! But actually, these are the circumstances at hand... can she gain happiness? 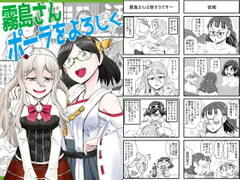 Kiyoshimo misunderstands the Admiral's proposal for a dismantling sentence. Trying to avoid such a fate... all hell breaks out. They seem like a good match, almost too good. That can't be good. The abyssal fleet have taken up a new sport. 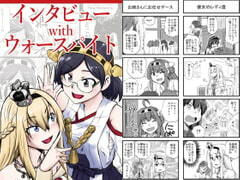 As things get weird on base, Kako and Kongou set out to understand why. Yukiho's kotatsu is a devious kotatsu. Totes adorbs. 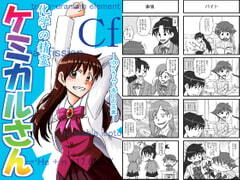 Fun comics about a tomboyish girl working a government job. 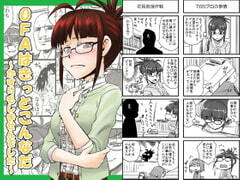 An omnibus of slice of life / school / meta / parodies. To save her agency money, Ritsuko chooses a cheap driver's ed course. Whoops. Episodes in the daily life of a clumsy girl. She didn't want to but circumstances have compelled Chihaya. She must increase her bust. Yukiho believes in Santa Claus and intends to catch him. P eggs her on. She's married!! Azusa tackles home decoration with enthusiasm. 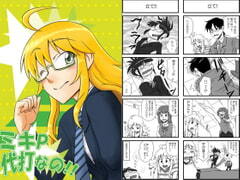 One For All's Ritsuko is probably like this! A hilarious Idolm*ster fan parody. Two Mikis in one talent group? The producer entrusts one to the other. Makoto (Idolm*ster) just loves to bake. If it involves sweets, she's up for anything! That's a liability, of course. 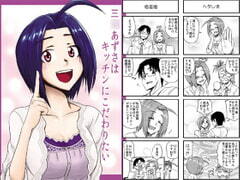 Azusa's wish for smaller breasts comes true, sort of. 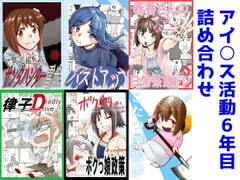 A chibi/SD/tiny shrinking woman Idolm*ster manga. Chihaya's still too rigid for P. He hires a hypnotist to loosen her up for her radio appearance. Timid Yukiho (Idolm*ster) goes on a 24-hour special "Don't Cry!" Japanese reality show. Ai-chan is the youngest of three beautiful sister (?) thieves, going it solo today. P and Ritsuko took it as far as they could. When they fall short Miki jumps in to save the day. The difficulties of a chemistry teacher who tries to make a profit with his Californium. 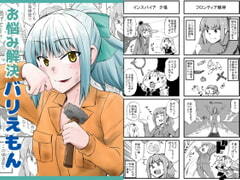 4-panel comics. 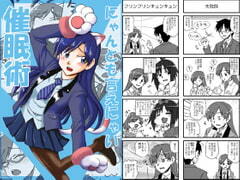 Mashup parody comics of N*mco's Idolm*ster and Super Wag*n Land series, starring Hibiki G*naha.